In a story ripped right from today’s headlines, this novel details Kyra’s harrowing escape from an orthodox polygamous cult. Intrigued by the premise, I picked up this ARC at ALA-Midwinter. The book is due to be published in June, 2009. Author Carol Lynch Williams seems like the Mormon answer to Judy Blume. With a few series about Mormon pioneer girls and a few other girls’ coming-of-age novels under her belt, this may finally be her moment to shine. The story is riveting. Growing up home-schooled in a rural, isolated religious compound, 13-year-old Kyra doesn’t share the complete faith and unwavering fundamental Mormon principles of her father, three mothers and 20 brothers and sisters. Her burgeoning feelings for a young man in her community and growing uneasiness with the Prophet’s tightening grip on their families forces her to keep secrets. One of Kyra’s few forbidden pleasures finally provides the key to her escape. Unbeknownst to her family, she’s been sneaking out to meet the local library book truck and devouring verboten treasures such as Bridge to Terabithia, The Borrowers, Harry Potter and Doctor Seuss. When the Prophet declares that she is to be placed in marriage, as the seventh wife to her own 60-year-old uncle, Kyra spends the following weeks in a heightened state of panic. Her parents’ appeals to the Prophet fail to sway his decision. After Kyra receives a thorough beating, along with threats to her family, she feels she has no choice but to acquiesce to the marriage. Initially intending just to say goodbye to Patrick the book truck driver, she ends up accepting his offer of a passage to safety. Unfortunately, the librarian is killed by the cult after a high-speed chase. This does allow Kyra access to the book mobile however, leading to a very suspenseful escape where she has to manage to drive the vehicle herself. 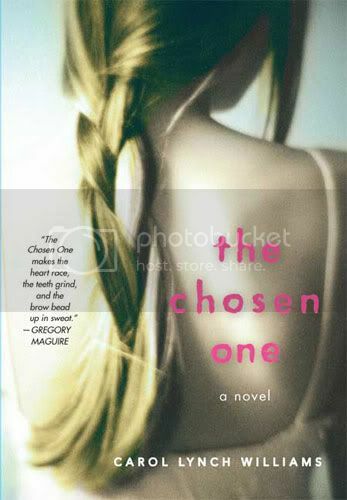 Featuring the high-stakes drama of a nightmarish trap that Kyra must manage to wriggle free of, I see no reason why this book couldn’t join the ranks of other arranged marriage YA novels such as Shabanu, Catherine Called Birdy or The Romance Reader.